See Ya F-Spot! 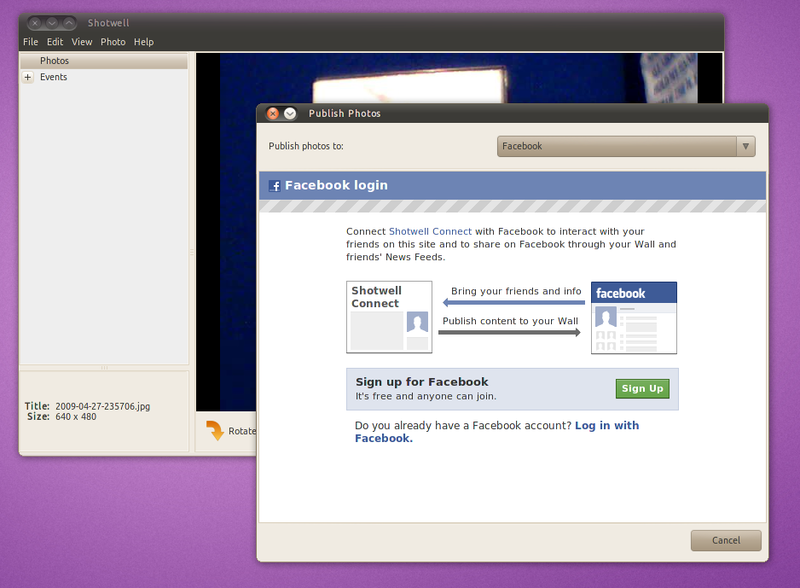 Shotwell to be default Image App in Ubuntu 10.10 - OMG! Ubuntu! 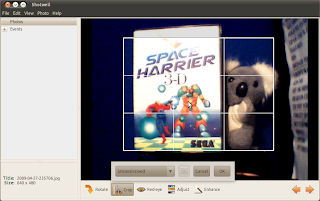 Like F-Spot Shotwell has an easy to navigate interface and both applications have many similar features such as Slideshow, tags, image editing, etc. Where both applications differ is on the way they manage photos and, perhaps more importantly to some, resource usage: With a library of 50 photos F-Spot used 40MiB of RAM whereas Shotwell used just 15MiB. 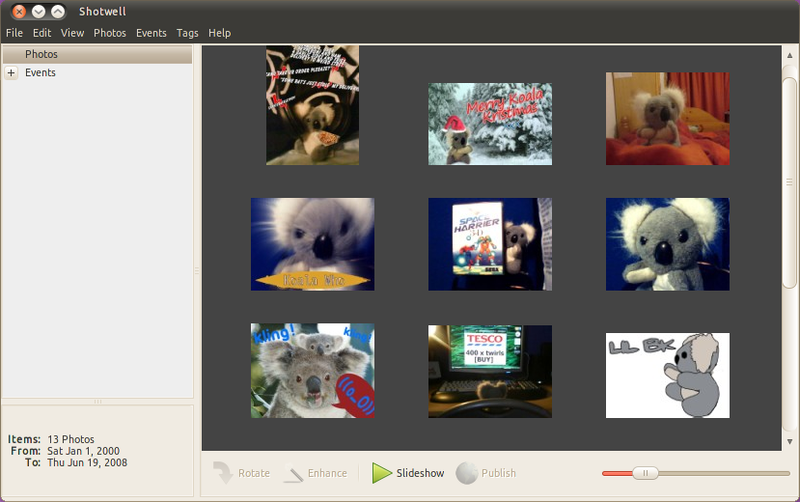 Shotwell can export photos in-app to popular photo sharing services such as Flickr, Facebook and Picasa. and ‘Events’. When tags are applied to photos a ‘tags’ entry will also display in the sidebar. The default view is ‘Photos’ which displays all of the photos in your library. ‘Events’ groups photos by date, although you can rename the ‘date’ to something more descriptive such as ‘Sally Sue’s Party’ and, if applicable, ‘tags’ allows you to sort through photos by tags. Shotwell also comes with a fantastic set of editing tools ranging from crop, auto-adjust, exposure, temperature, mirror and rotate.